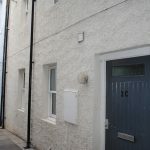 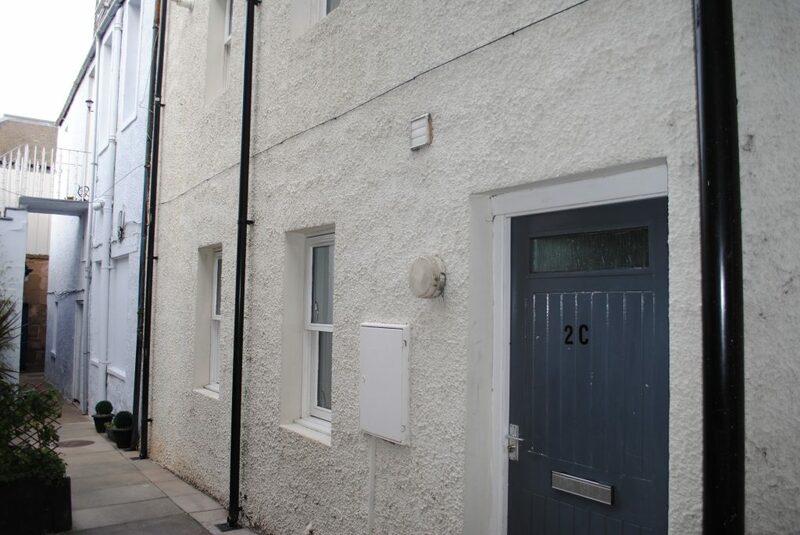 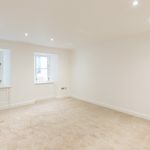 Located just to the south end of Montrose High Street, this terraced townhouse enjoys a central location within walking distance of all local amenities. 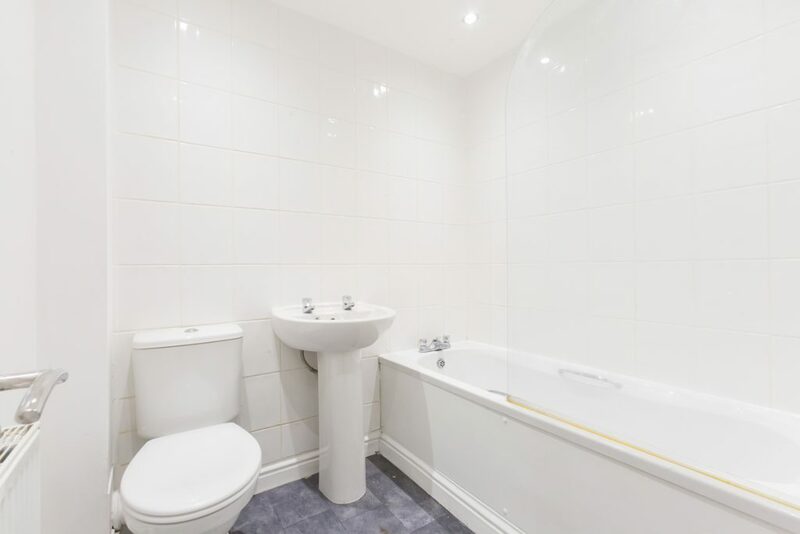 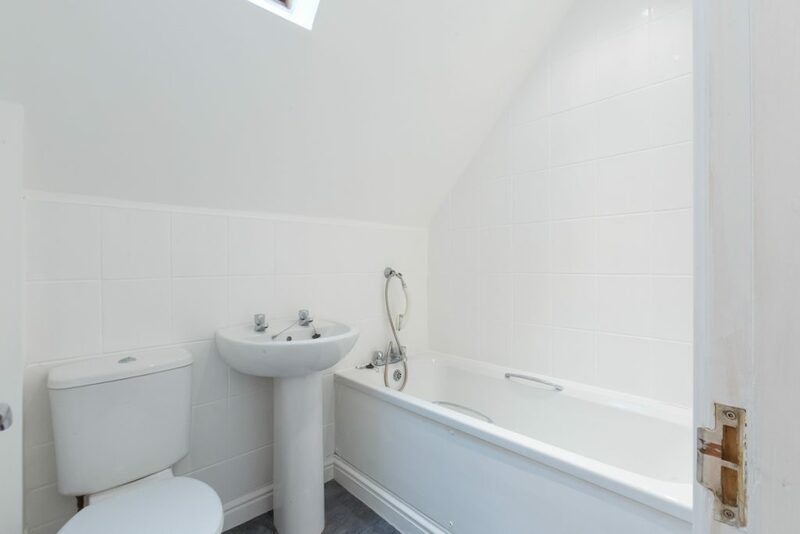 Entry is into the lower hallway, where there is an under stairs storage cupboard with plumbing for an automatic washing machine and a conveniently located WC. 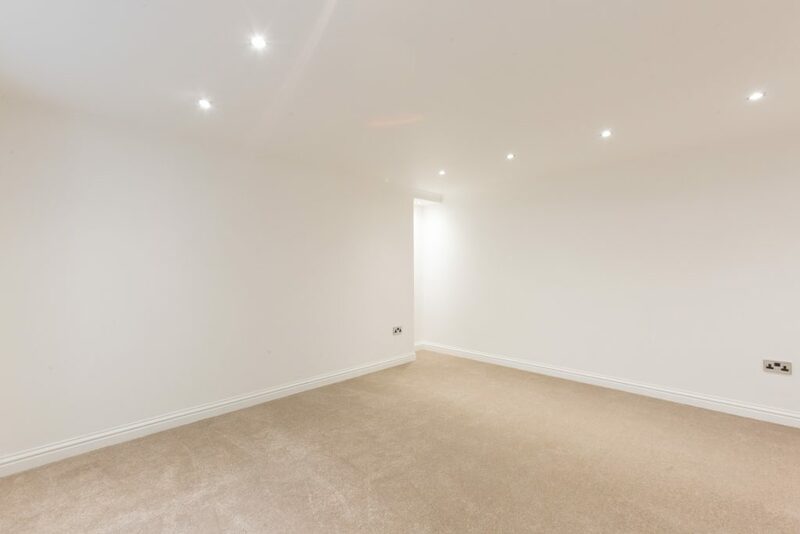 There is access into the spacious lounge, which features two front facing windows and spotlights to the ceiling. 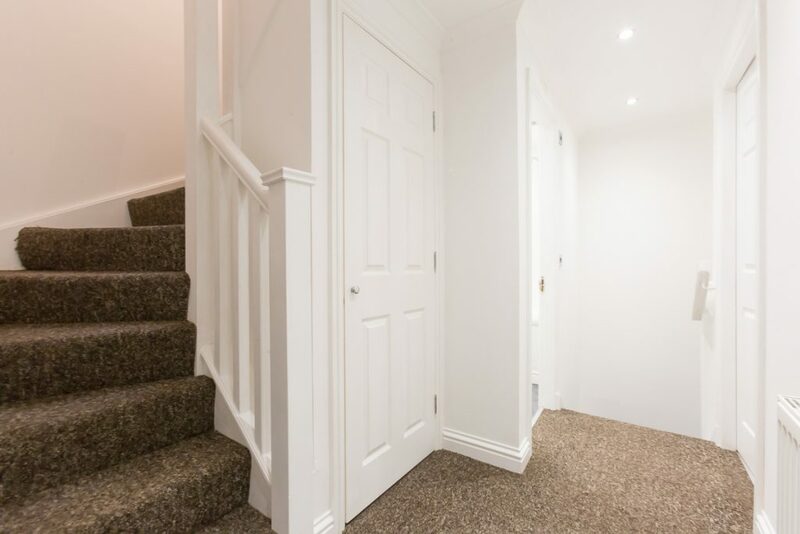 From the hallway, a wooden balustrade staircase leads to the first floor. 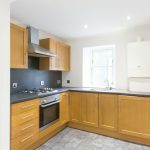 The dining kitchen is to the front, and is fitted with base and wall units with an electric stainless steel hob and oven with extractor hood above. 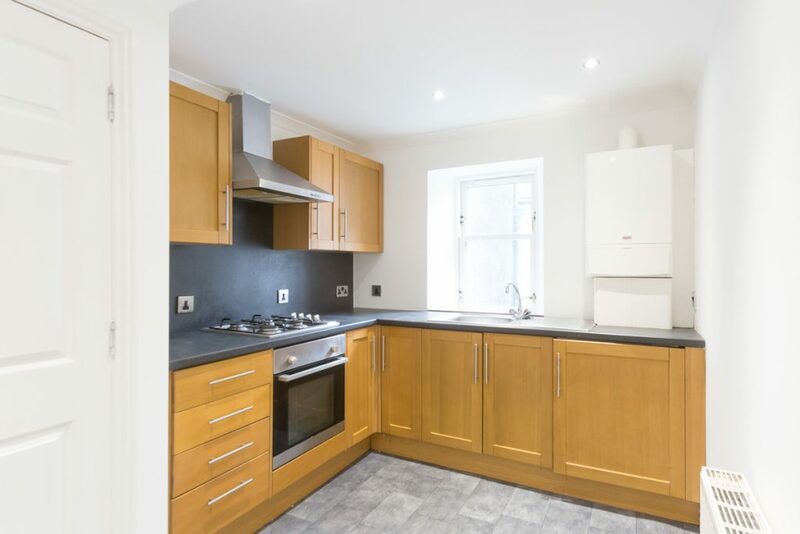 The kitchen benefits from an integrated fridge, and there is ample space for dining. 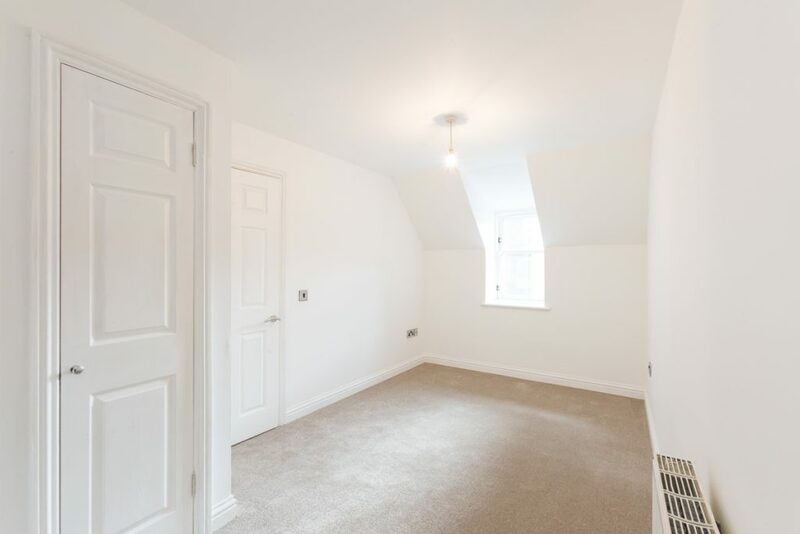 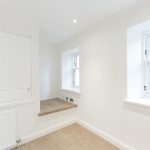 Also on the first floor is bedroom three, benefiting from a shelved and hanging cupboard, and a bathroom featuring a 3 piece white suite with an over the bath power shower. 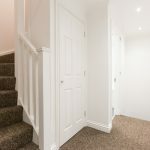 A further staircase with an under stair storage cupboard leads to the second floor, where in the hallway there is a skylight window and access hatch into the loft. 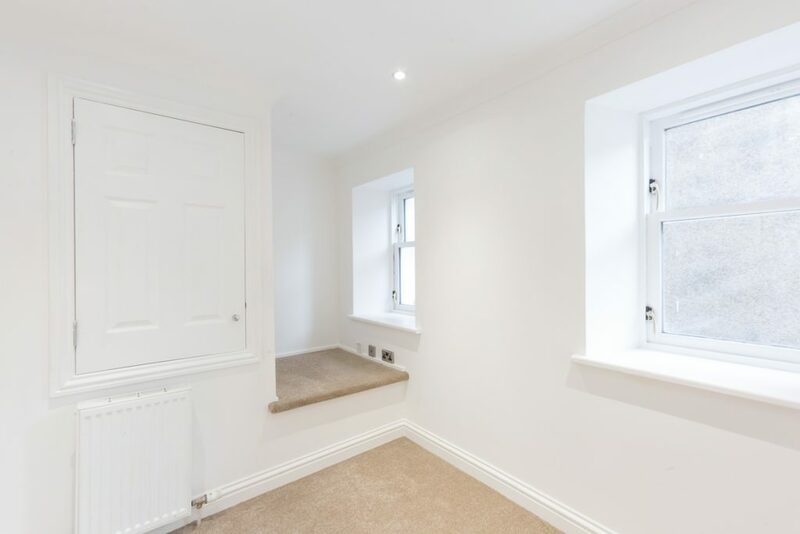 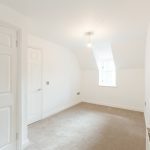 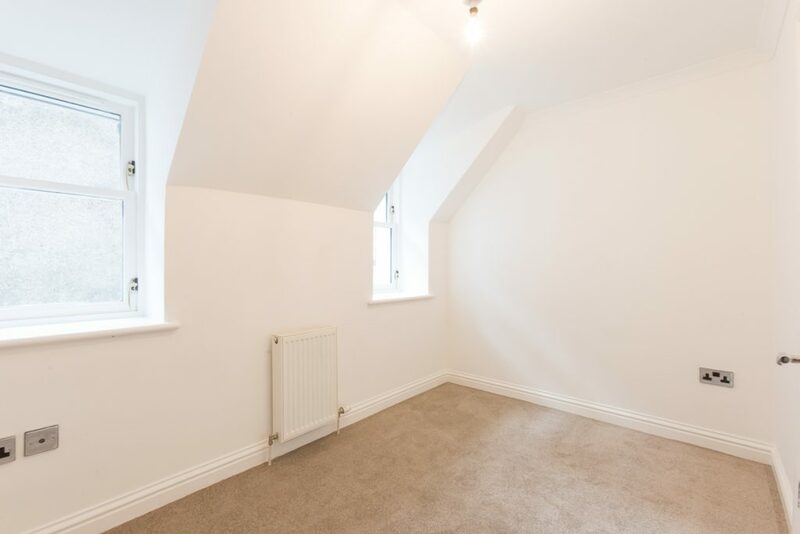 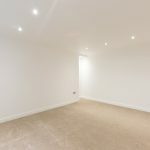 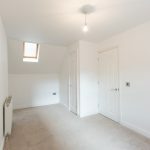 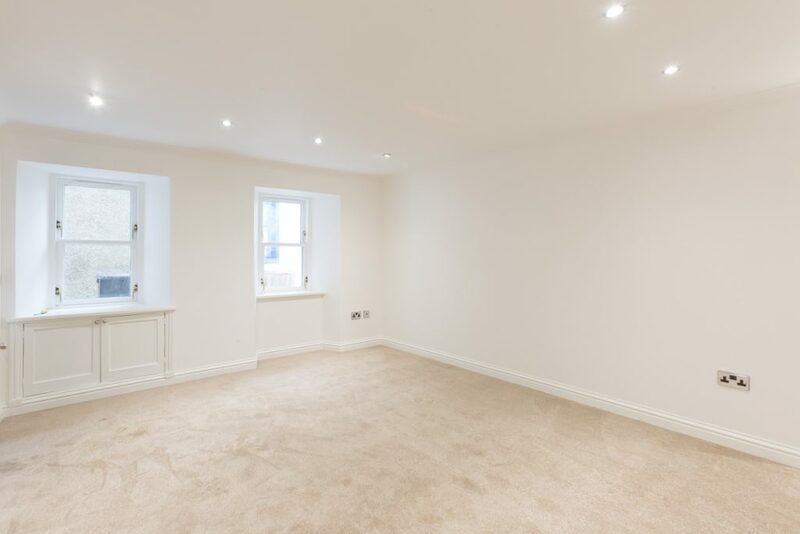 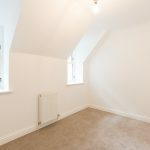 There are two further bedrooms to the front, with the master bedroom benefitting from a shelved and hanging wardrobe. 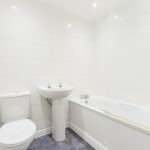 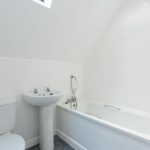 A second bathroom completes the accommodation on offer, and has a three piece white suite with a shower to tap on the bath. 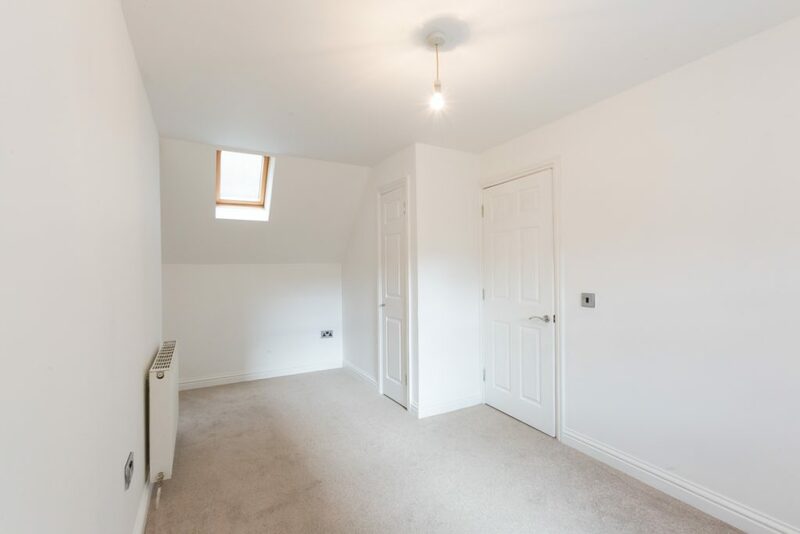 There is a rear facing velux window and spotlights to the ceiling. 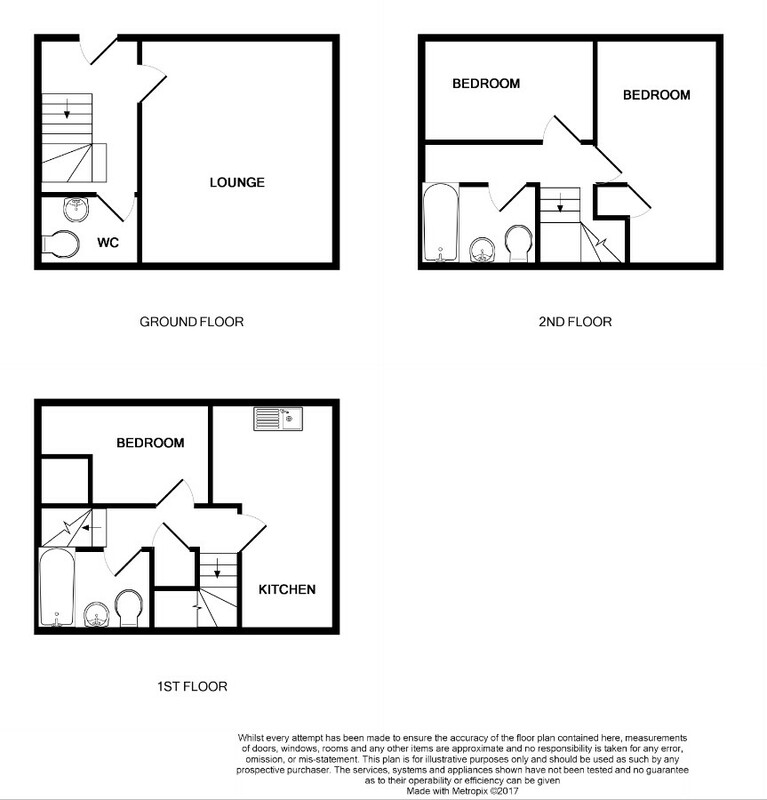 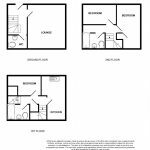 £11000 less than home report valuation!